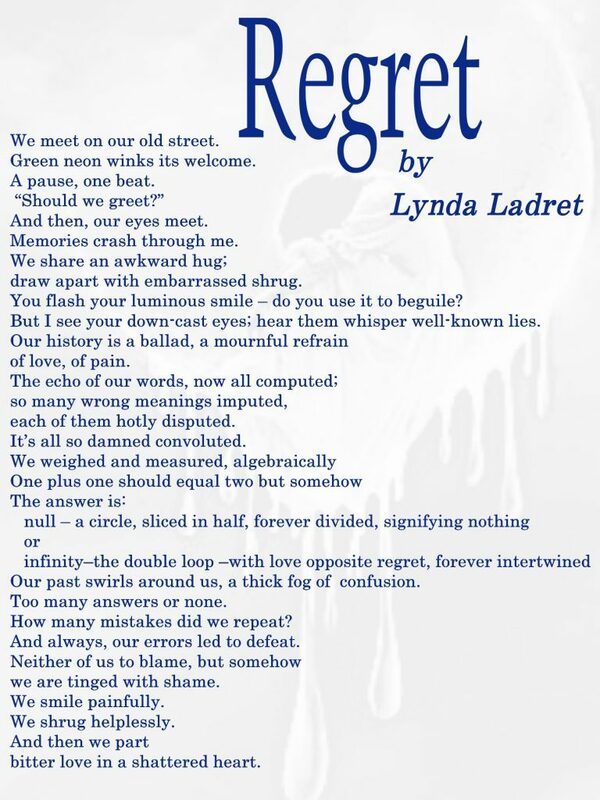 In keeping with the National Poetry Month theme I invited Author and Poet Lynda Ladret to the blog. I met Lynda in a small writing group and asked her to tell us about her writing and share her poetry with us. Rita: Lynda, why do you write? Lynda: I write to please myself. For my own entertainment and amusement A lot of the stories I write are creative non-fiction, about my past experiences. On the other hand, my poetry just seems to write itself. I like writing stories for the opportunity to explore emotion, to try to define meanings. It’s therapeutic at times. Writing is the scariest, most exhilarating thing I’ve ever done. I love it! Rita: How long have you been writing? Rita: Have you shared your work before? Lynda: I started posting poems and short-stories on facebook, where quite a few friends and acquaintances made positive comments, and encouraged me to keep writing. Rita: Oooo. I love short stories. We’ll have to talk about that another time. Rita: Have you taken any writing craft classes? Lynda: Yes. I enrolled in a poetry class in 2017 and have never looked back. 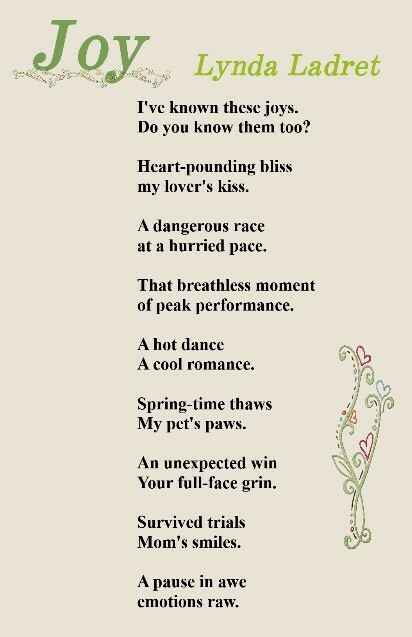 Here are Lynda’s poems. Joy and Regret. Wow! Thank you for sharing your poems with us. With a few words you manage to tell us a story filled with deep emotion. Well done. Leave a comment and let Lynda know your enjoyed her poems.